Trends come and go when it comes to kitting out a nursery, but one thing that never seems to change is the desire for a baby mobile to hang above a change table or a cot. Click through to discover our top five baby mobiles! 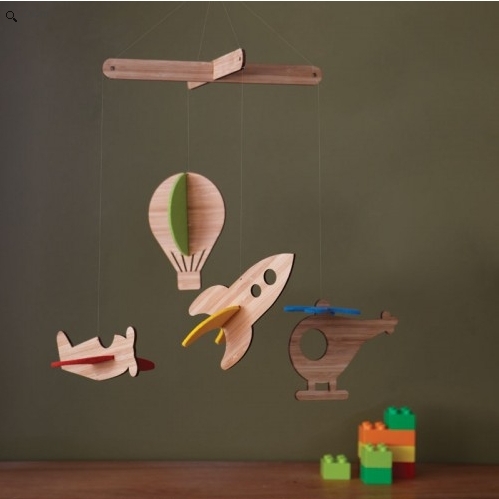 Adding a whimsical, dreamy and serene element to your nursery is easy with the stunning cloud baby mobile from The Butter Flying. 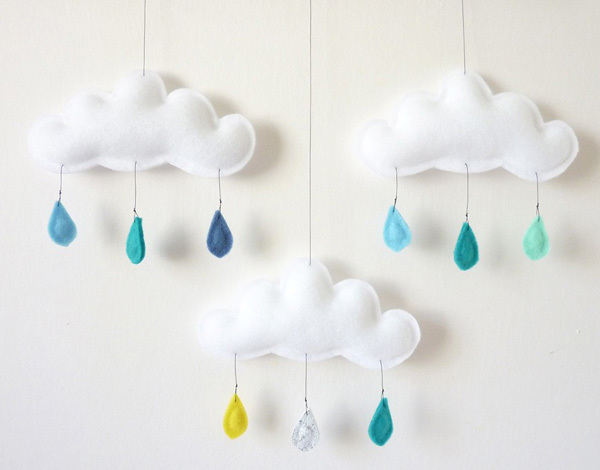 This heavenly mobile pictured above with sublime felt clouds and coloured raindrops is made light enough to dance in a soft breeze and (hopefully) keep your baby blissfully entertained. A popular favourite in the Babyology office are Flensted baby mobiles. 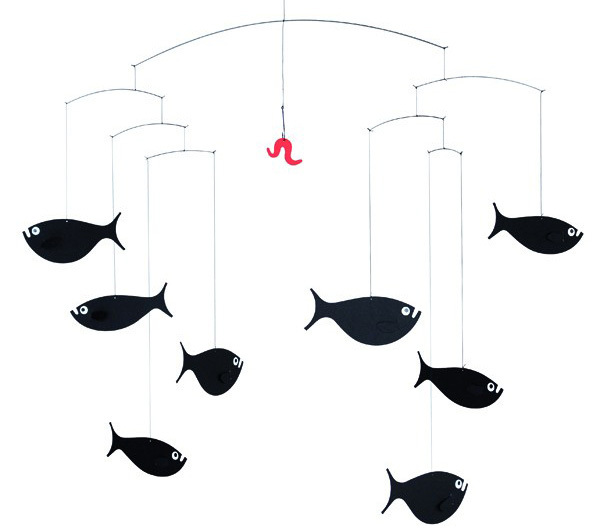 Simple silhouettes and shapes in the most beautiful colour combinations, these mobiles are carefully designed to be balanced in such a way that they are constantly in motion – no batteries, no bells and whistles, just a simple bobbing movement! 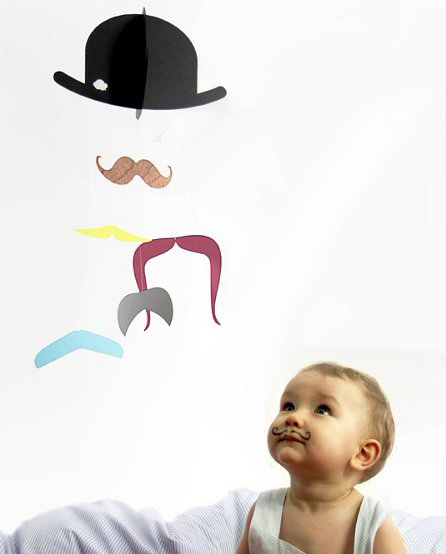 Every little dapper darling needs a top hat and a moustache somewhere in their nursery decor, so why not as their mobile? Quirky and fun, the Mr. Moustache baby mobile from Jäll and Tofta showcases a bold black top hat and five different coiffed and coloured styles. If getting back to nature is the theme you’re after, or perhaps something to soften an ultra modern nursery, these precise laser cut natural birch beauties from Modern Baby Co. are a perfect option for adding some warmth back into a crisp decor. Petit Collage have an amazing collection of detailed baby mobiles cleverly suited to not only nurseries, but toddler bedrooms also. Designs are not too childish but still cute, withstanding the test of time. Patterned paper and bamboo is perfectly cut to create intricate shapes for your baby to gaze upon. 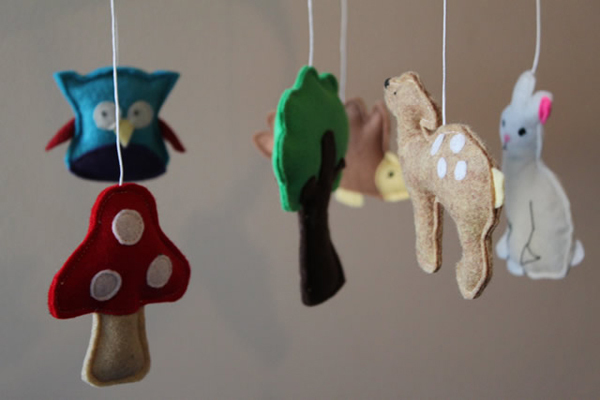 Last but not least, we recently showed you the divine handcrafted felt wares from The Bear & The Whale. Expect cute felt woodland critters and the like or if you’re after something specific, The Bear & The Whale team are happy to try and help out with a custom design for you. For more mobile decor suggestions, be sure to see our archived baby mobile posts.